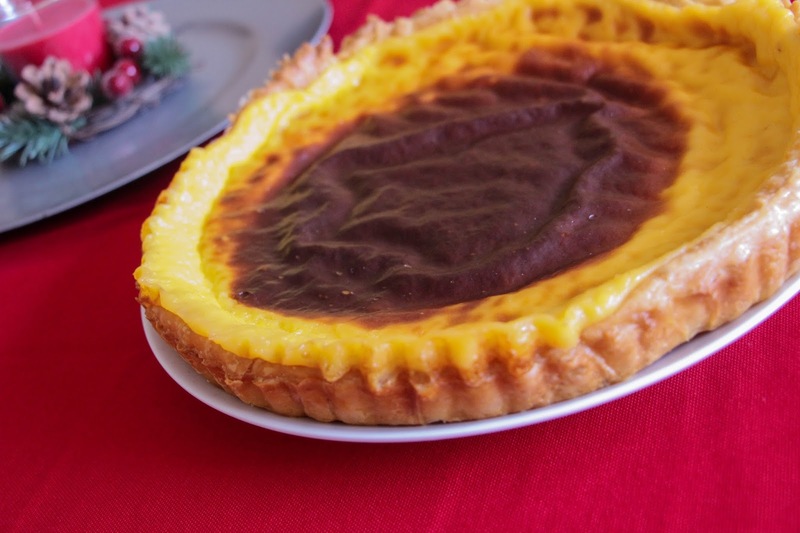 Portuguese Custard Tart is one of my favourite desserts. My mom taught me how to do it and today I am here to share our recipe with you. Grab your note book and start writing down every little detail. It is so simple but yet soooo delicious! Give it a go. I am sure you will love it to pieces. Now lets get into the recipe itself! First of all, grab a pan and throw in there the sugar and the 5 eggs. Stir it all very well with a balloon whisk until combined. Then, add the custard powder and cornflour slowly, stirring in between. Again, until everything is well combined. Now just add the milk and double cream to the mix. Looking good? I know! Add now the last ingredient – the butter – to the pan. After combining all these ingredients it is time to set the cooker in medium heat and cook the mix for a few minutes – basically, cook until it boils. Make sure that you stir in between or else the mix will burn. I normally stir it every minute or so. Just to make sure it doesn’t burn at the bottom of the pan. When it boils, remove if from the cooker and place the mix into the tart tin previously prepared with the pastry. For the last step, put it in the oven for about 10 or 15 minutes, until it gets gold and crispy just like the photo above. When it looks as good as you wish, remove it from the oven and let it cool down. You can put it on the fridge if you wish. Give it a couple of hours to cool down and it will be ready to eat! Hope you enjoy this recipe. Let me know if you tried it out and what were your thoughts about it! I love! And I actually still have a little piece left that I will have for dessert today.